Elizabeth Anthony is ViON's Senior Vice President of Marketing and has 20+ years of experience implementing marketing plans and strategic communications programs across the globe. Ms. Anthony has created a strong channel communications program in the last three years at ViON, expanding the company's partner marketing relationships and developing focused solution business plans for OEM partners like Dell EMC, NetApp, Hitachi Data Systems and dozens more. Prior to joining ViON, Ms. Anthony served as Senior Manager at Cisco and NetApp, where she was responsible for the U.S. Public Sector strategy and developing integrated programs with key partners. While at NetApp, Ms. Anthony managed sales enablement for SAP globally. Having owned her own marketing consultant organization for over 16 years, Ms. Anthony is a passionate, long-time advocate of women in business. 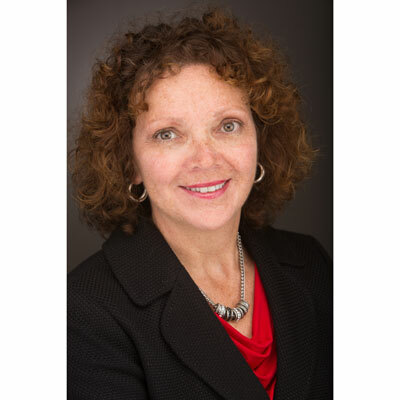 She is a proud member and former board member of Women In Technology, Advisory SLED Board Member for The Channel Company, Chairperson of the American Heart Association Executives with Heart, and member of the AFCEA. Since coming to ViON, I have been highly focused on forging strong channel partnerships based on open communication, customized solution business plans and disciplined portfolio budgeting. Building on these core priorities, I've led my team to develop a strategic partner marketing program that engages our network to better tell the ViON brand story. As the industry has changed from selling boxes to selling services, having a streamlined go-to-market strategy is critical to integrating partners quickly and capturing business. Our program, now encompassing 42 partners (up from 30 last year), has been key to expanding ViON's channel business over the past year. Over the last three years, custom solutions have been the overarching direction for ViON's channel business. Building on that focus and momentum, our goal for the next year is to increase revenue with channel partners in a highly strategic fashion, meeting the needs of customers with our as-a -Service model. ViON can deliver anything as a service - analytics, cyber, cloud, infrastructure, etc. We are looking to grow those projects so that both our sales and marketing teams are effectively working together to gain greater alignment/better relationships with our channel partners. I have great admiration for Jean Edwards, Director of Business Development and Program Capture, Dell EMC Federal. I've always been inspired by Jean's passion for her job, her ability to embrace change and her constant quest to challenge herself. She is a strong member of the IT community, a huge supporter of STEM and a steadfast mentor and advocate for women in IT - especially in her current role at Dell EMC. Women like Jean have carved a path for all females in technical fields, creating an environment where young women can see the possibilities in front of them. I encourage young women considering an IT career to focus on honing their ability to pivot and adapt quickly as the market evolves. They have to develop a great sense of curiosity - always asking questions, always looking for new/better ways of doing things. And they must embrace the dynamic essence of IT, always seeking to learn and train on new developments, especially around the use of data analytics and driving metrics. The women in our history who made an impact always looked beyond what was in front of them to what was possible and that drive is paramount. If I could be any movie character for a day, I would choose to be Katniss Everdeen from the Hunger Games trilogy. She is agile, determined and quick on her feet in any situation. She finds a solution for everything she faces and never backs down from a challenge. I'd really like to visit Sydney, Australia. Of course there are the must-see sites, like Sydney Harbour, the Opera House and Bondi Beach. But I would love to immerse myself in the culture - exploring the food, the architecture and the arts - crafted and shaped by a truly diverse and multi-ethnic community of people. It's eye-opening to step outside of your comfort zone and experience a completely new environment. Also, I love any opportunity to enjoy nature, so seeing the Australian wildlife in person and experiencing the unique terrain and outdoor activities would be particularly exciting.